Online furniture retailer, Pepperfry aims to hit the $ 1 billion gross merchandise value (GMV) in four years, as increasing number of people log onto the Net to shop for household items including home dcor, says a PTI report. Online furniture retailer, Pepperfry aims to hit the $ 1 billion gross merchandise value (GMV) in four years, as increasing number of people log onto the Net to shop for household items including home décor, says a PTI report. Besides, the furniture and home decor market in the country is predominantly unorganised with local players accounting for a lion's share of the $ 25 billion segment. The offline furniture market in India itself is estimated to be $ 22-25 billion, of which the addressable market is about $ 12-15 billion, Pepperfry.com CEO and Founder Ambareesh Murty told PTI. "This is expected to grow to $ 25 billion in 3-5 years. That is the potential of the segment," he added. He said the online furniture market is projected to cross $ 2 billion in next three years. "We will cross $ 1 billion GMV by December 2018-early 2019. We have seen business grow over 7X in the last few months," Murty said. GMV is a term used in online retailing in place of sales or revenue, as site revenue comes from fees and is different from the dollar value of items sold. Founded in January 2012, Pepperfry currently offers over 65,000 products across categories like furniture, home decor, lamps and lighting, bath and body, kitchen, home appliances, housekeeping and pet supplies. 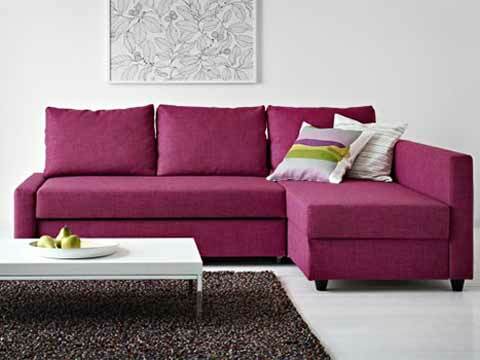 Its competitors include Urbanladder and Fabfurnish. It has close to 1,000 merchants on board and plans to double the number over the next few years. It also has customers in 12 other countries, including the US, Russia, Greece and France. Asked if the company was looking at raising funds, Murty said Pepperfry was well-financed at the moment. "We could look at raising funds by mid or end of next year, about $ 40-60 million. This will be for marketing, expanding the brand's reach and enhancing customer support. Its investors include Norwest Venture Partners (NVP) and Bertelsmann India Investments.